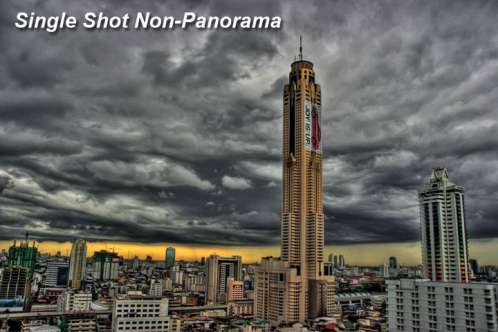 What is Panoramic HDR Photography? Panoramic HDR Photography combines two photography techniques; panoramic photography and high dynamic range (HDR) photography. This combination is used by photographers to create a HDR photo that will cover a larger image area than what their camera can capture. 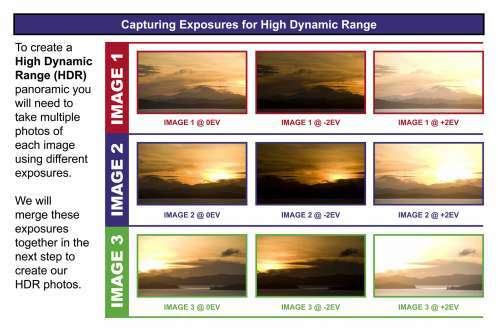 The process of creating an HDR panorama is done by shooting multiple images of a scene with different exposures and combining them to create one single photo. Why I Shoot HDR Panoramas. I shoot Panoramic HDR photos when the composition of my image requires more image area. For instance, the above panoramic was a total of 15 HDR photos for a total of 45 exposures. There was no way that I could have captured this entire scene with one shot. Being a landscape photographer I use this technique often to photograph vast areas of beaches, mountains and canyons. This is an easy way for me to get more image without having to use my wide angle lens. However, I will also shoot panoramas using my wide angle lens if my image is larger than what I can capture with a single shot. Below is another example of a panoramic photo I shot to get more image in my photograph. 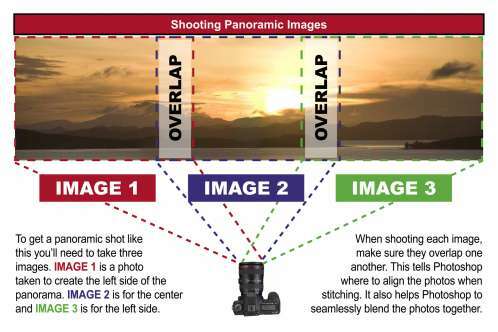 Included is a single shot to show you the difference between shooting and not shooting a pano. The only downside of shooting HDR panoramas is that it’s time consuming. 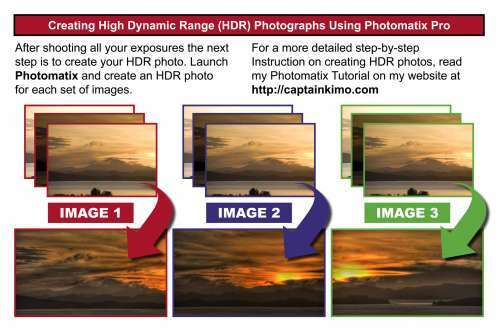 Not only are you shooting multiple exposures for HDR, you’re also shooting multiple photos to create your panorama. Post processing your image also takes longer as well, since there are more photos to deal with. 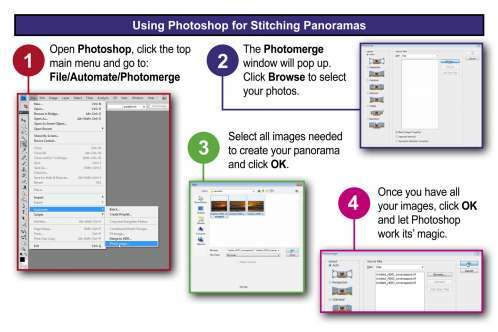 Not to mention the extra step required to stitch the images together. You don’t need anything special in terms of hardware. A camera and tripod will do you fine. As for software you’ll need Photomatix (for creating HDR) and Photoshop (for stitching your images together). 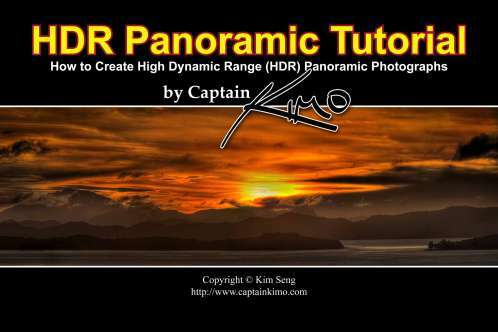 If you have all these things then creating HDR panoramas will be easy. 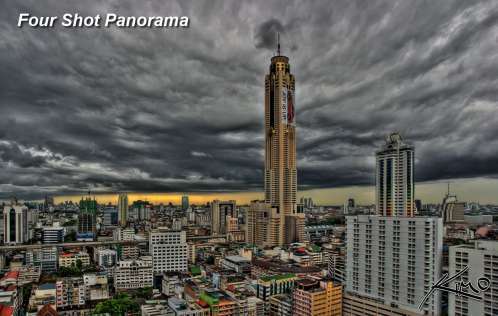 Word of Caution When Shooting Panoramic HDR. Before we begin this tutorial I want everyone to note, photographing panoramas in HDR can be physically intensive on your camera. This is due to the amount of actuation that occurs while shooting. I highly recommend giving your camera a break between long sessions of shooting. This will let your camera cool down and prevent unnecessary wear and tear. You can read this entire tutorial from this post or you can download the e-book from the link below. I’ve also supplied the sample images seen in this tutorial. You can work along with this lesson without having to shoot any photos of your own. 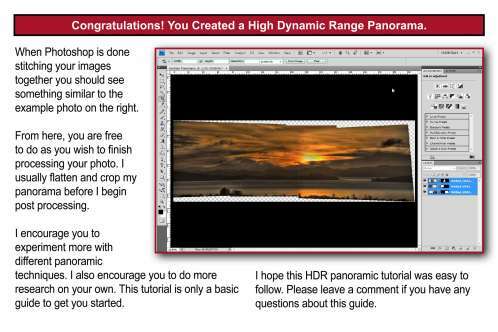 Step Five – Your HDR Panorama is Complete. Now that you’ve completed this Panoramic HDR Tutorial, I encourage you to practice and research more about this wonderful photography technique. Below is a list of websites to visit for more information about HDR and Panoramic Photography. Never heard about it. Will have to check it out when I have time. Your writing seems to be very straight forward and honest. Love your work, and wish (of course) that I had your eye. I’m thinking of committing to Photomatix to see if it does better tone control that CS5. At any rate, thanks for your honesty and enthusiasm. Great work. I haven’t been doing as many panos since I only have one camera body right now. Both my other camera bodies, the 5DMK1 and the 20D broke on me while shooting panos. SO I’m a little hesitate to do any unnecessary panos. As for the stitching program, I think I tried Microsoft but couldn’t get it to work, not sure it was a while back. Photoshop does a good enough job at stitching so there really wasn’t any need to go looking for an alternative. But you’re right of I can find a panoramic stitching program that runs faster with similar results than maybe I might consider using it. Oloneo is on the list to be review. I believe it’s the 10th program on the list. The 15 picture Thailand sunrise picture is really beautiful – great way to start off the tutorial. I’ve shot a fair number of HDR panoramas in recent months and was curious: what are your thoughts on the various non-Photoshop stitching tools? I went through and tried at least half a dozen of them and ended up using Microsoft ICE because I found it simpler (and a bit more stable about RAM) than some of the others, but I’m always looking for advice on the best options. BTW, are you planning on including Oloneo in your upcoming reviews? Or will you be waiting until it comes out of beta? I probably should but I don’t. Just more stuff for me to carry around. My flickr photostream has most of my stuff as I post everything to there as well.